For Spearfishermen/Freedivers/Snorkelers who want and extremely low volume mask and simple non-purge snorkel. Underwater photographers also enjoy the benefit of the black silicone skirt which improves forward vision. Stealth snorkels has an exclusive keeper which is low profile and comfortable against the face. The flexible bi-material construction absorbs vibration for increased "stealth' operation during hunting and the snorkel comes with ultra soft silicone mouthpiece. Includes a reusable mask box. The X-VU Liquidskin Sunrise diving mask offers great fit and unparalleled comfort for wider face shapes thanks to the special geometry of its skirt! Includes Liquidskin technology for even more comfort! 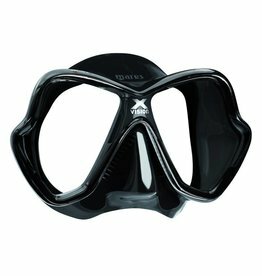 Mares’ X-Vision dive mask has a unique, revolutionary design combined with innovative technical solutions to increase comfort, as well as a very large field of vision. The Star mask has been created especially for spearfishing and freediving for a better field of vision paired with small volume and reduced eye-lens distance. Made in mono-silicone.